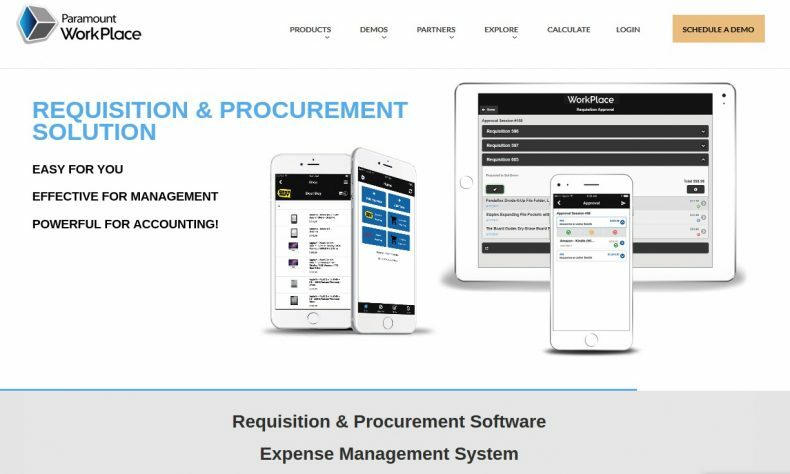 WALLED LAKE — Paramount WorkPlace, a Walled Lake-based developer of expense and procurement spending management software, announced the release of the latest version of its product. Company officials said it provides new reporting metrics, advanced optical character recognition capabilities using machine learning, additional mobile functionality, flexible new payment processing, expanded Google integration, and a modern new user interface. WorkPlace 2018 delivers instant insights from a single dashboard, empowering users to manage, evaluate, improve, and optimize any area of their business. Users have the freedom to define their own metrics, customize the view, select from over 20 standard charts, create unlimited personalized charts, drill deeper into the data, and even export the data for use in other applications. Building on WorkPlace’s OCR technology, WorkPlace 2018 incorporates rich machine learning functionality capable of recognizing patterns of user behavior and recommending data inputs, reducing the time users spend on keying and correcting data. WorkPlace 2018 Mobile App also now provides full requisition entry and approval functionality from a user’s mobile device. Users can browse and shop company catalogs, request items for purchase, save items to cart, and submit items, as well as review, approve, reject requisitions, add attachments, and add comments from anywhere, anytime. New payment processing capabilities allow users to process vendor and employee payments securely, quickly, and directly from within the WorkPlace Spend Management system, forming a robust, centralized P2P (Procure-to-Pay) platform. Deeper integration with Google, including Google Maps, adds a dedicated travel route app page that allows users to store frequently used travel routes and automatically calculate mileage from within the app, adding it seamlessly to their expense reports, using a pre-defined reimbursement rate. Reviewers can view and approve route data as part of the approval process. With over 131,000 worldwide users, Paramount WorkPlace cloud-based and on-premise solutions are trusted by global, national, and local brands for their powerful capabilities, intuitive features, and the option for a stand-alone and integrated extension of Microsoft Dynamics GP, AX, NAV, and SL; Sage ERP 100, 300, 500, Sage Intacct, Blackbaud Financial Edge and NXT, Acumatica, NetSuite, SAP, Oracle, and Epicor. Learn more at www.paramountworkplace.com.